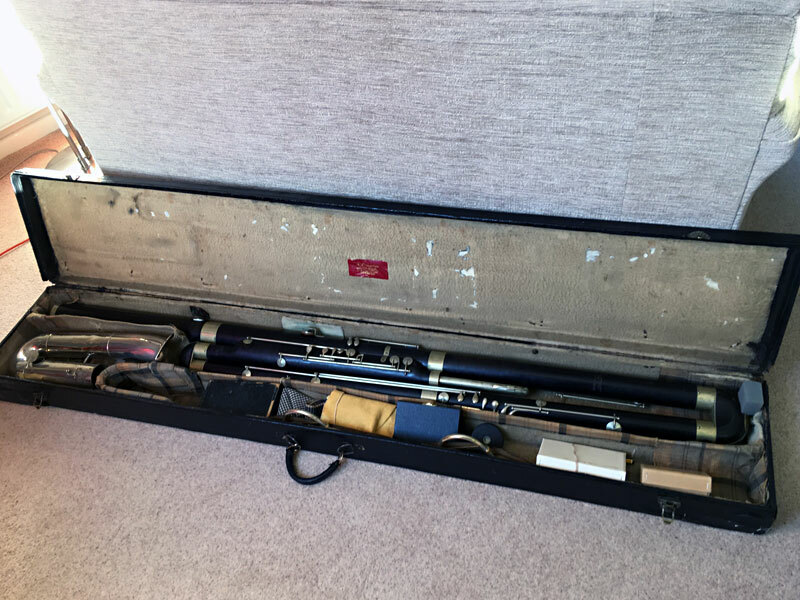 In the 1960’s the LSO was given a valuable and very old contra-bassoon for use by local musicians. It was manufactured by the Heckel company of Germany and has the serial number 89 which dates it to around 1878. The instrument was imported through the sole UK agent Cooper and Lloyd, 12 Snow Hill, Wolverhampton, this is clearly stamped on the instrument twice. Also, one of the metal end plates has the initials B F C J engraved on it. Presumably this was one of the instrument’s owners? Returned to the Leicester Symphony Orchestra it is played in many of the local orchestras when it is needed. 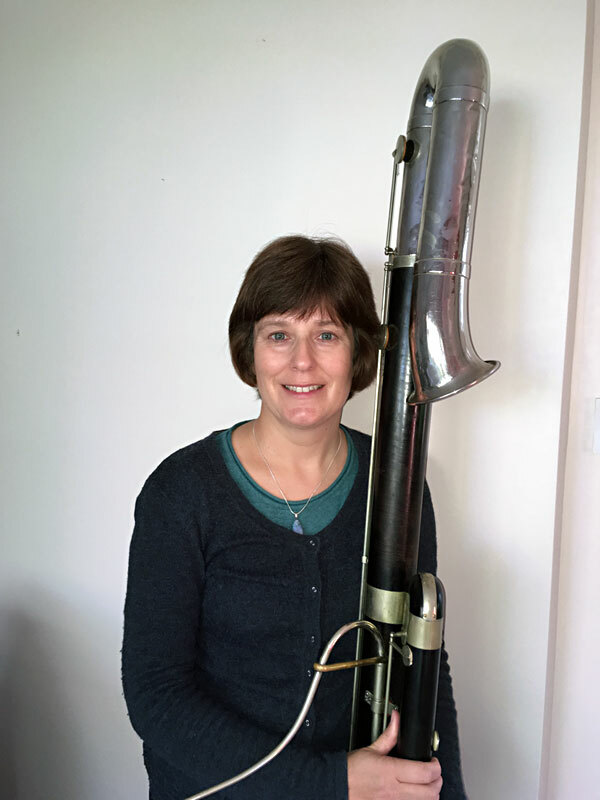 It is currently cared for by the player Karen Goss and can be heard in the Leicester Symphony Orchestra’s performance of ‘The Planets’ by Gustav Holst in de Montfort Hall on 9 March 2019. Part of its history was given on ‘Mr Leicester’s page’ in the Leicester Mercury in 1984 where it is described that in the 1930s it belonged to the orchestra’s contra-bassoonist Chris Wykes. Then in 1941, while serving in the Army, Mr Wykes was forwarded a letter asking if the instrument could be loaned to a leading national orchestra whose own bassoon had been lost in the blitzing of the Queen’s Hall. As all the contra-bassoons were made in Germany the problem of replacing it elsewhere was acute. It remained with that orchestra until the 1950’s.